In the last decades there have been different methods and solution models for managing master data in different systems. During his long career, Professor Tomi Dahlberg has seen the development cycle of information management. According to him, until now there hadn’t existed an interpretation based model – a model which resolves the biggest challenges in master data and delivers results in real IT environments. 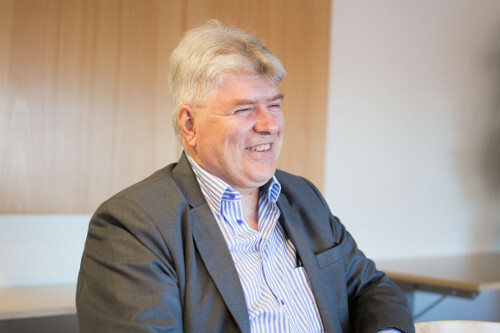 Dahlberg, one of Finland’s most respected IT professionals works in several roles: professor, researcher, consultant, mentor and professional board member. He is familiar with the latest IT innovations and writes frequently international studies. There have been different solutions for Master Data Management (MDM) over the years. One of the prevailing schools of thought is the so called Golden Record model, where one entity of master data is created and all systems are forced to use it. If there are 15 different entities for the same customer in different systems (CRM, billing, debt collection etc. ), according to the Golden record model, the company could agree that only one version is correct and all systems will use only that in the future. Theoretically, this seems logical, but problems arise as theory and practice can be very different things. The different units and functions have different information requirements, in addition to there being a wide range of different systems. ”Information is situational in nature. It cannot be forced into a form where it is not useful to the user. If an employee uses a system where the format of data is not suitable for the context, he starts creating his own tables and does not commit to the common data management. This leads to failings on many levels. Golden Record thinking has been a major error in reasoning in information management and does not hold the way forward.”. The objective of Golden Record in which all systems use only one entity of master data, is by itself a logical premise. However, because different units have different needs for the same data, in practice it just doesn’t work. It is therefore important to allow systems to operate independently without impairing their useful purpose to the user. Compared to previous models, the key advantage is generated from MDM’s ability to create interpretations of the different system interfaces. The company can have one global and five local entities of the same master data and this does not create confusion for information management. The new MDM solution leads to a smaller organisation, allows a focus on data quality, makes it easier to find the best way of working and leaves more time for true information management when time is not wasted in trying to understand meta data and master data. Dahlberg sees that management must commit to the objectives of information management. It is not necessary for management to be able to discuss MDM in-depth, but they must be able to tell what information is important for guiding business operations. In the interpretative MDM governance model, daily data management is the responsibility of the various functions and MDM is directed by the organisation’s IT experts. When the same people are responsible for both data and business, there is no need for separate master data watch keepers who monitor that all information is correctly entered. Thus the organisation becomes smaller and data quality questions get more attention. The days of traditional, resource-intensive IT projects lasting many years are soon to be gone. According to the new model, master data projects start from concrete work and development steps can already be seen in months. It is important to approach the challenges in the right way. ”Today’s IT projects usually begin with a small pilot project, which is absolutely the right direction. The approach must, however, be addressed to a real business problem. Then the development leads to rapid benefits. A more productive alternative according to Dahlberg is to start with one concrete problem within a single system, where all master data related to that specific work phase is taken over multi dimensionally, and to streamline the process. Digitalisation is mainly a matter of exploitation of information. Dahlberg thinks that an interpretative master data way of thinking is the only method for controlling complicated information, such as data from social media, characterised by different relevance levels of information.